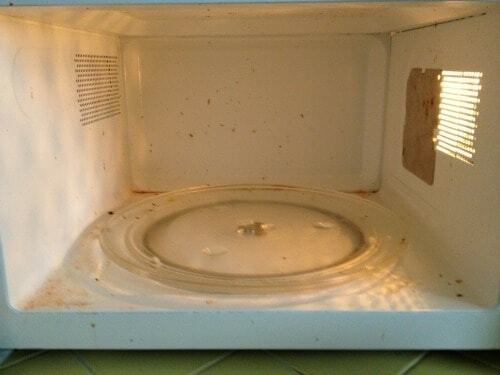 Sometimes you only have a few minutes to quick clean your microwave. So instead of just putting it to the side and not doing it, use this super easy tip to get it clean in about 5 mins! I am kind of embarrassed to show you this, but this was my microwave at the start of my quick clean. YUCK! 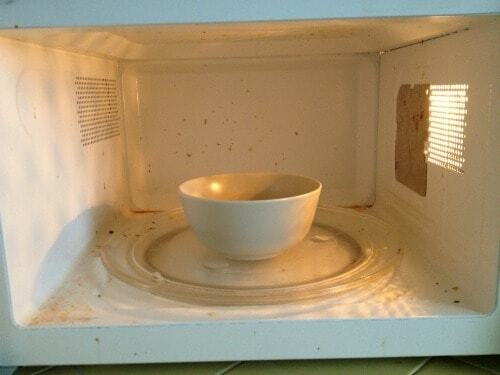 So I took my special quick clean recipe and took 5 mins to clean my microwave! Here is how you can do it. Make a bowl with 1/4 cup of lemon juice and 3/4 – 1 cup of water. Put that in the center of the microwave and turn it on for 4-5 mins. When it is finished you will have a drippy, wet microwave. Take a clean rag, it can be wet or dry, and wipe out the microwave leaving it clean! 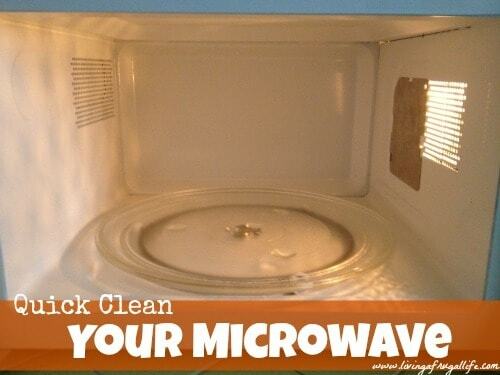 How often do you clean your microwave??? Thanks for this great idea! Can’t wait to try it. I usually clean the microwave with household cleaners that leave a harsh smell so the thought of having it smell like lemon juice sounds like a big plus! I just put water in a bowl and stick paper towel in it but not saturating it and heat it up about one min or less and use that wet part of paper towels and and wet a few more to clean inside it just wipes up no nasty cleaner taste, same outcome. 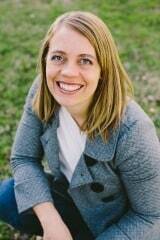 That is a great idea Christy! Thanks for sharing!